Senior pet owners have to face this agonising dilemma, aware that a dog or cat can live for fifteen years and knowing that their circumstances are likely to change over that time. This happens at a stage in their life when caring for a pet will bring the most rewards: 24 hour love and comfort, a regular routine of exercise and meals, a wonderful introduction to other people; who walks a dog without sharing a smile or a friendly word? After talking to health professionals, we are aware that this can be a major problem for single pet owners. They may delay operations and hospital admissions because they do not have support to care for their pet. Reduced mobility can result in pets not getting enough exercise. It may be difficult to transport pets to the vets and grooming parlour. Administering parasite control, medication and grooming may become difficult. 1) Could you offer a home to an older pet? The National Animal Welfare Trust has produced a useful guide called Tails of the Unexpected. The Trust’s primary objective is to respect and preserve the treasured relationship between owners and their pets. To this end it works in partnership with owners to overcome any difficulties that might arise. A national network of over 15,000 community service volunteers has been established to provide practical help when any aspect of day-to-day care poses a problem, for example, walking the dog for a housebound owner. A national fostering service is provided for pets whose owners face a spell in hospital; volunteers take pets into their own homes and supply love and care in abundance until owner and pet can be reunited. 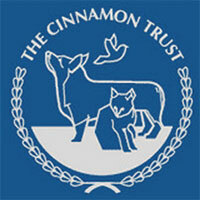 The Cinnamon Trust also provides long term care for pets whose owners have died or moved to residential accommodation which will not accept pets. 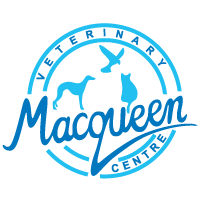 Arrangements are made between owners and the Trust well in advance, so owners have peace of mind in the knowledge that their beloved companion will have a safe and happy future. Emergency cards are available on request. When a pet is in the Trust’s care, either short term or long term, the owner is kept in touch with visits, if possible, or regular photos and letters. They also have compiled a list of Pet Friendly Care Homes: Call 01736 757900 to buy a copy £3.50 (plus £1.50 p&p). If you have problems treating your pet, there are long-acting treatments for complete parasite control or a single tablet to provide a month’s arthritis treatment. If your pet joins our Healthy Pets Club for preventative health care you also have the benefit of unlimited free nurse checks and help with dosing, nail clips etc. Society for Companion Animal Studies has lots about companion animal bond, particularly interesting is the Pets for Life campaign. Wiltshire Good Neighbour Link Schemes 01380 721775 (for Devizes & District). Strengthening Wiltshire by enabling and empowering older and vulnerable residents to access the services, information and support they need to live safe, comfortable, fulfilling and independent lives.